Just a few of the birds hanging out around the mill these days. 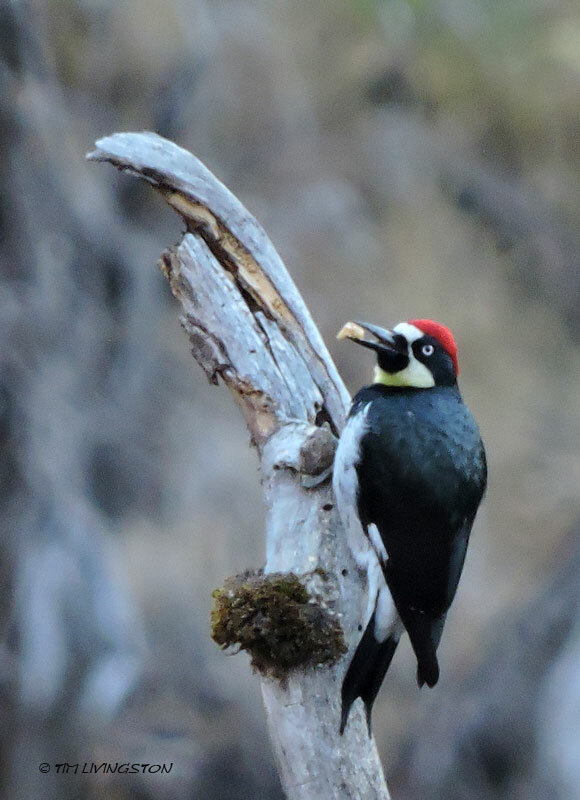 I first saw him last week, out back behind the mill. 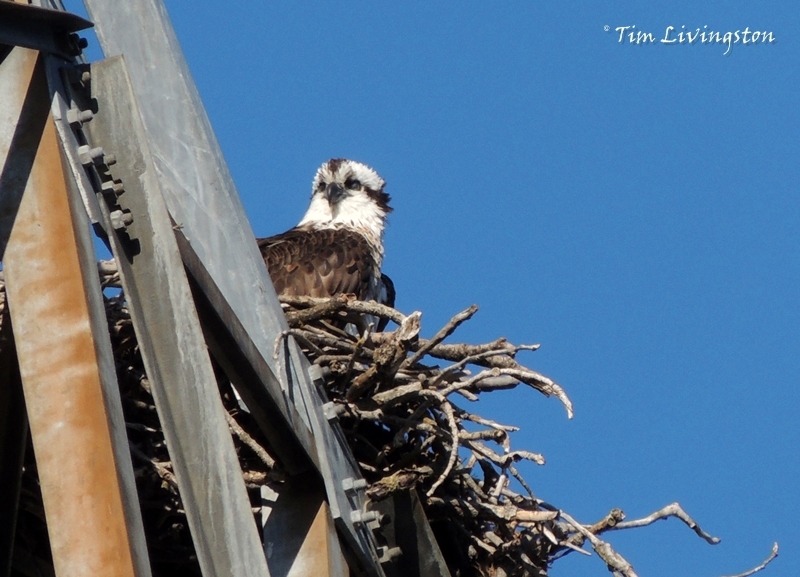 I was pretty sure it was our male osprey on the snag behind the mill last week. Then right on schedule our boy was back at the nest on Friday morning. Last year he arrived on February 26th. This year he showed February 28th. Now he begins his vigil, as he waits for his mate to arrive. Back for a new year at the nest. 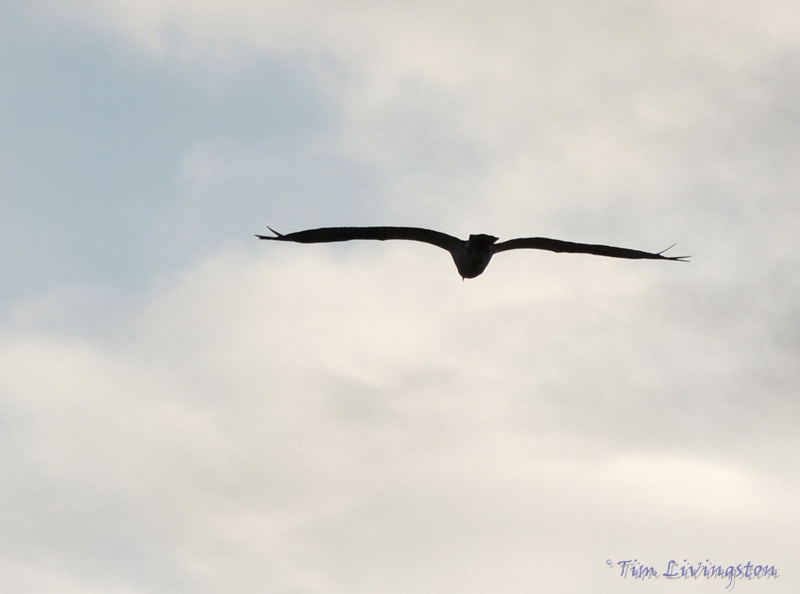 He scans the horizon for his mate. 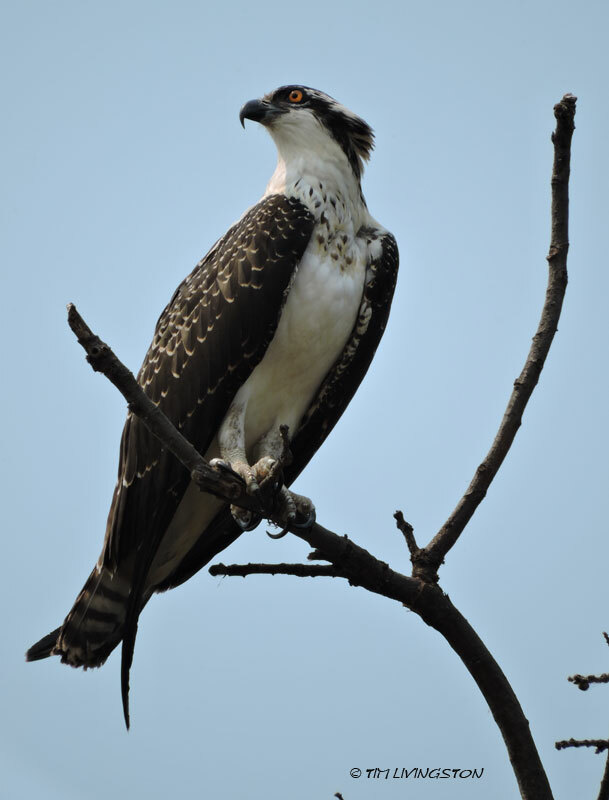 When the osprey arrive, I know that Spring is knocking on our door. A few early flowers are blooming and the frogs are singing at night. 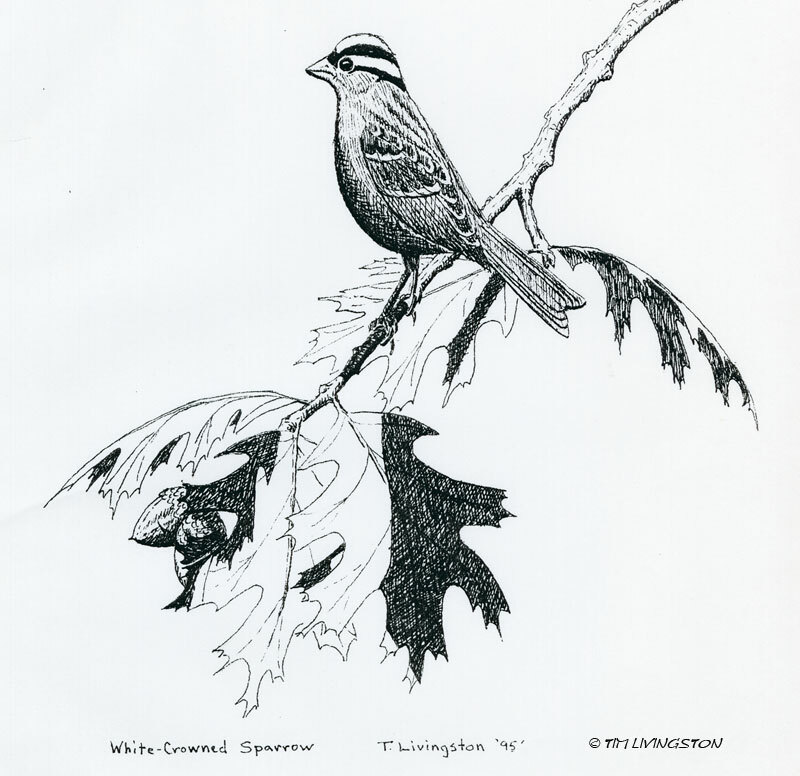 The little birds chase each other around the trees and buds are swelling. We are finally getting some significant rain. We may have a normal Spring after all. That fish is looking nasty! You can see all about the nesting season 2013. 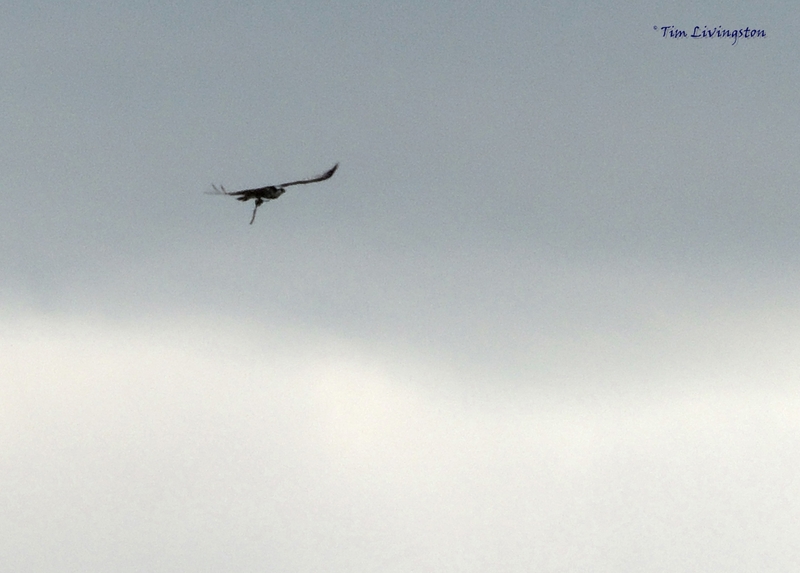 The osprey returns to the nest with a stick. 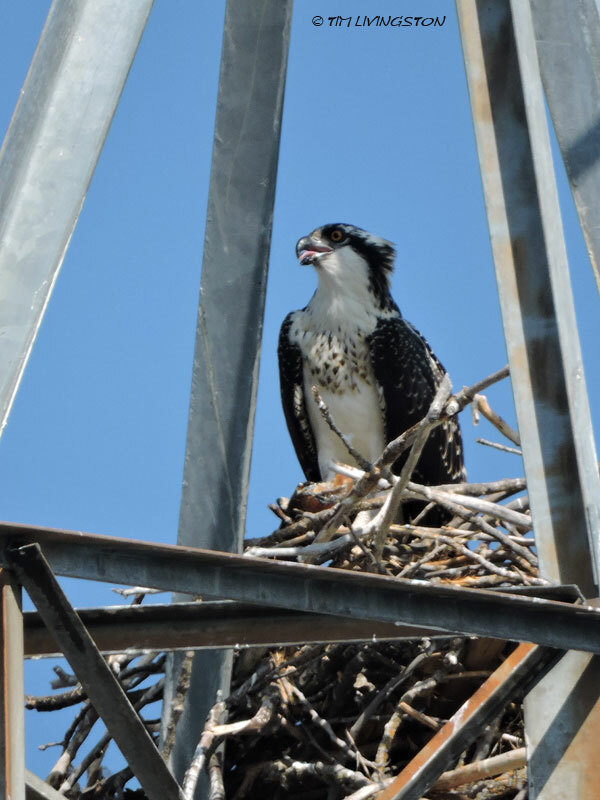 They began rebuilding their nest the day she arrived and the two osprey were back together. 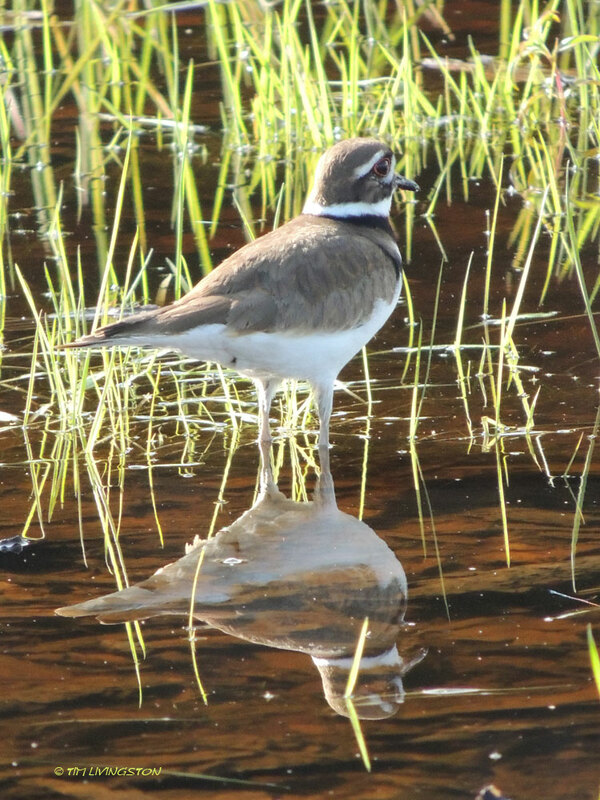 This is what they typically do after the winter storms take there toll on the nest. This particular nest is only one year old and must have weathered the winter fairly well. They spiffed it up the first day and that was that. They moved in. Doing some touch up to the nest. Just a bit of work and this nest is good to go. 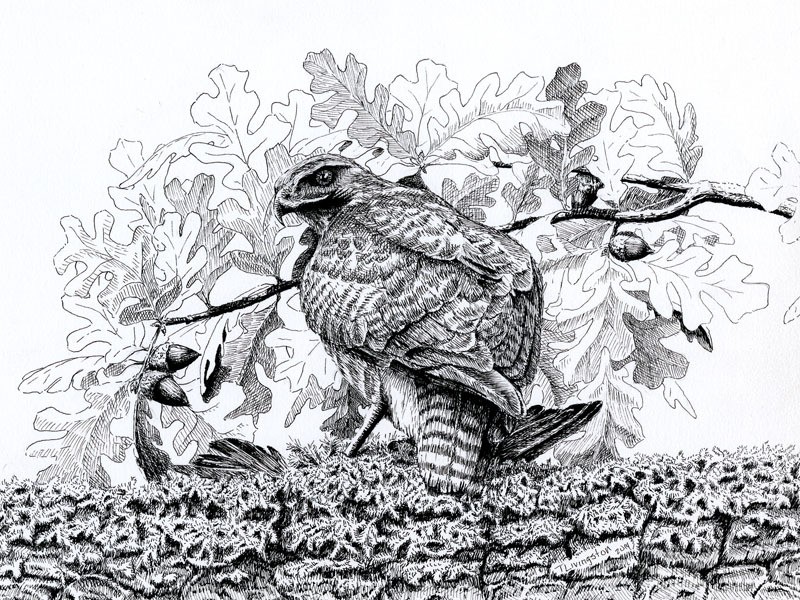 The picture below is how the nest looking in 2011. 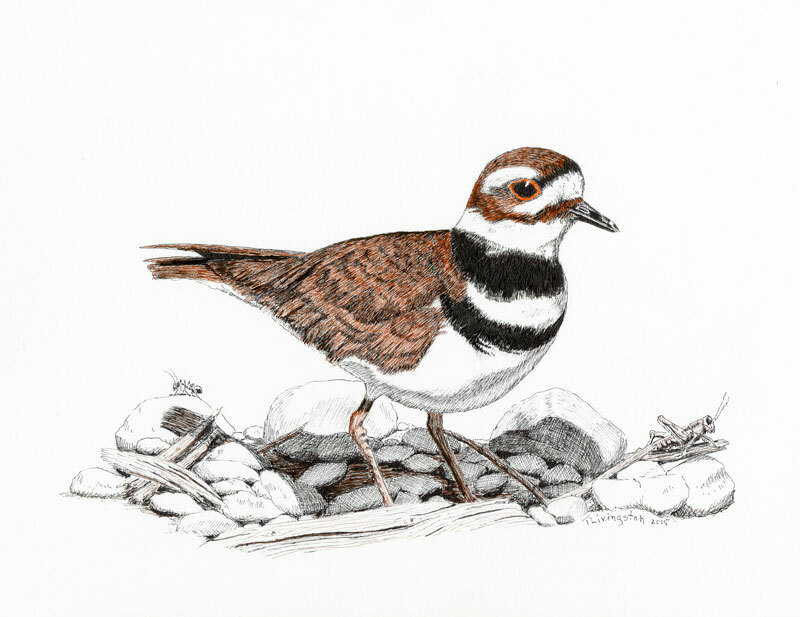 Usually, they add a new layer to the nest every year. Not so much this year. 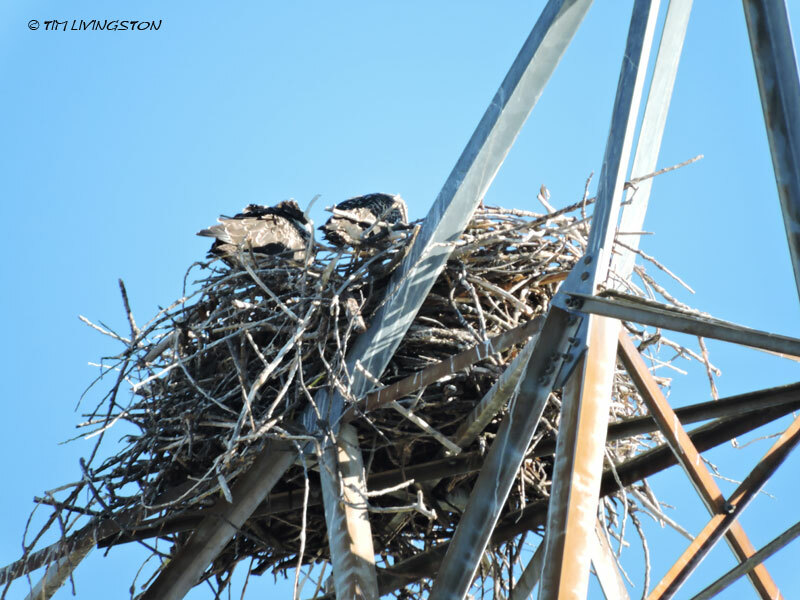 In 2011 the nest had been built up much more and was on the opposite side of the tower. 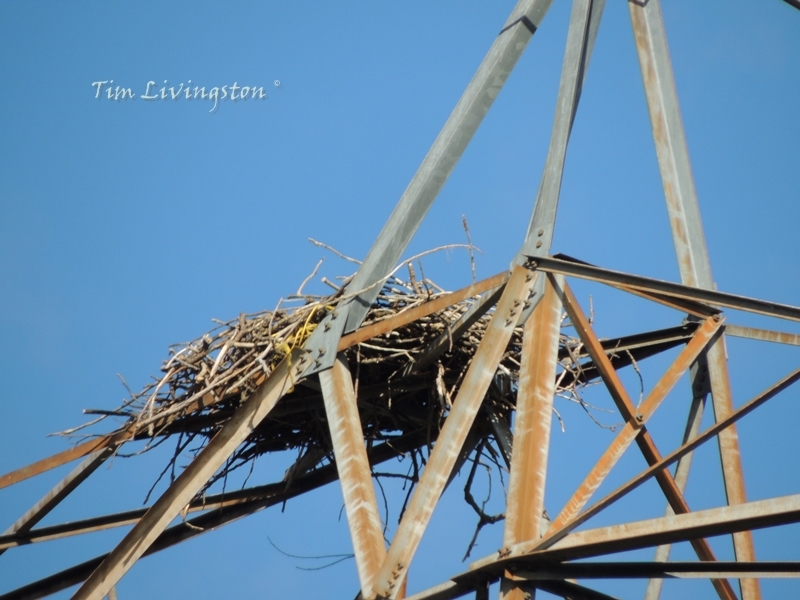 Normally, the nest gets taller and taller until a severe Winter storm blows the top of it off. 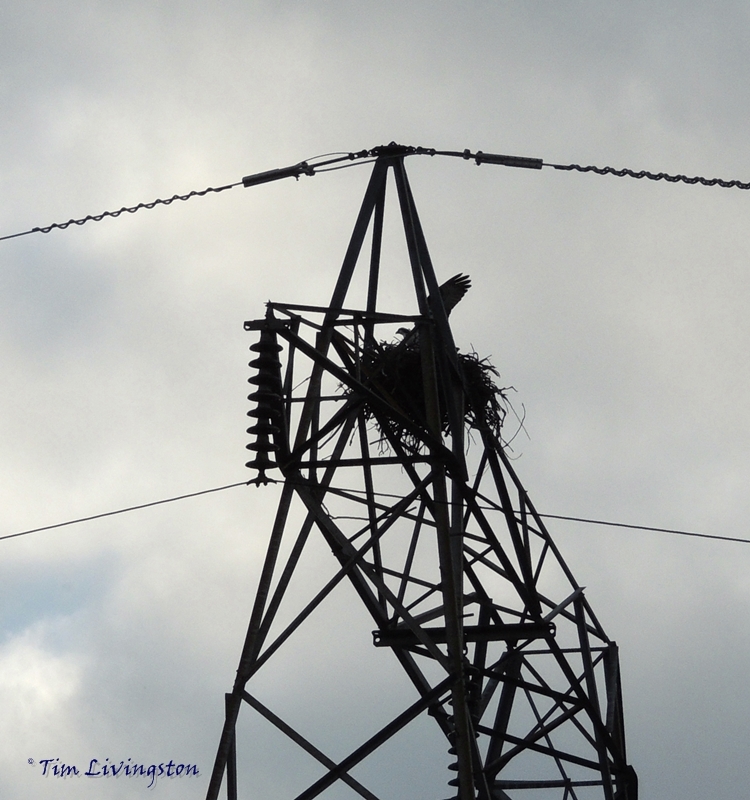 I’ve seen the nest over 6 feet tall. Last year the nest survived some very bad storms. Late in the season the nest was gone after a moderate storm. I checked under the nest for debris, but found very little. 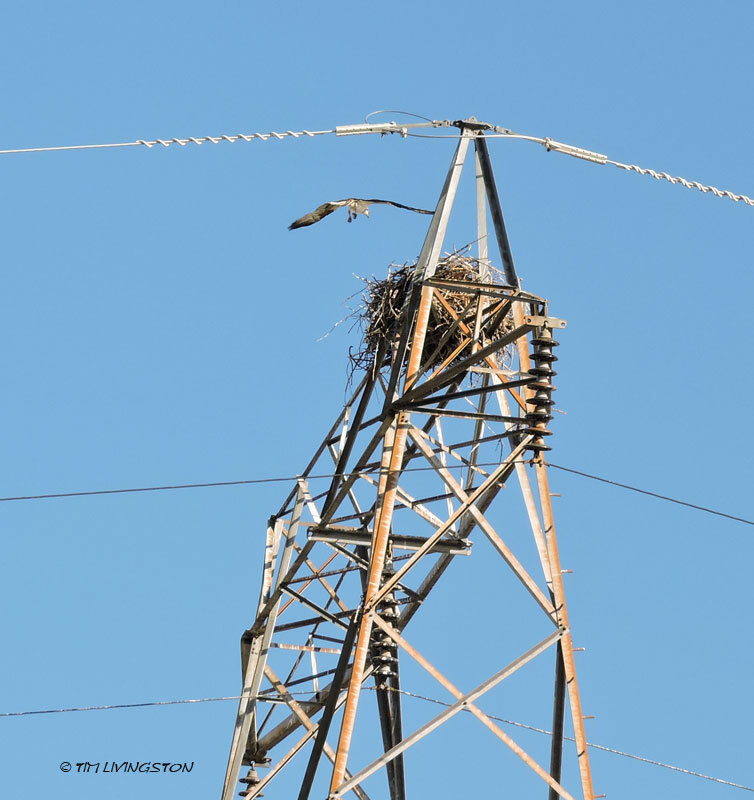 I found out later that the local power company employees climbed the tower and removed the nest. This was the nest in 2011. 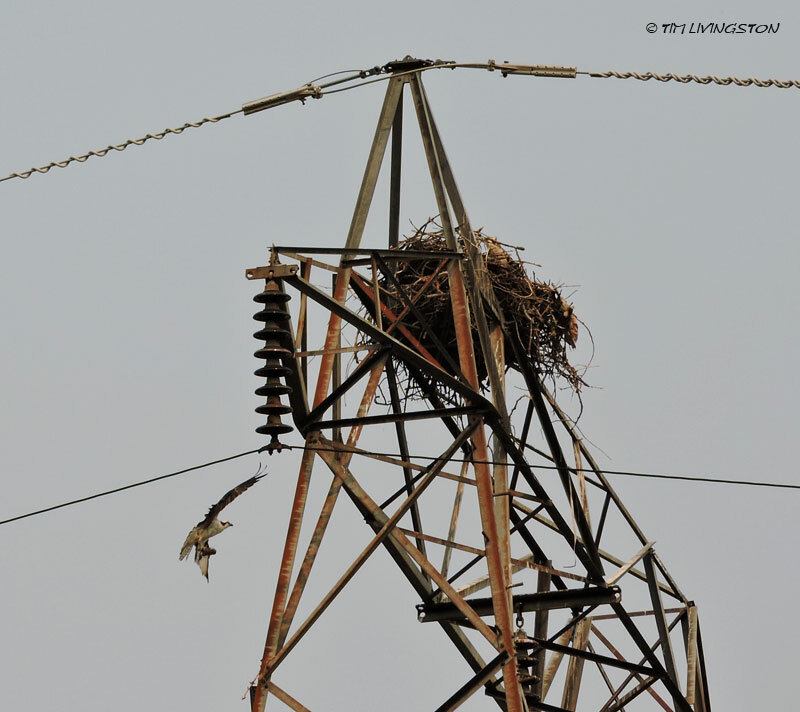 When they osprey returned and found no nest they immediately started rebuilding. Although, as often happens with men and women they had a bit of a disagreement. 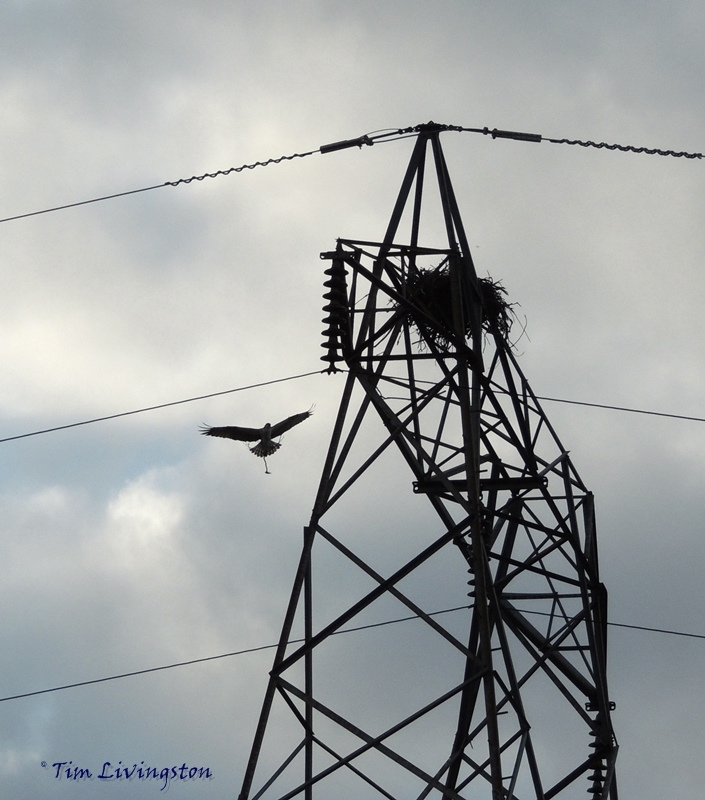 They each began building nest on opposite sides of the tower. 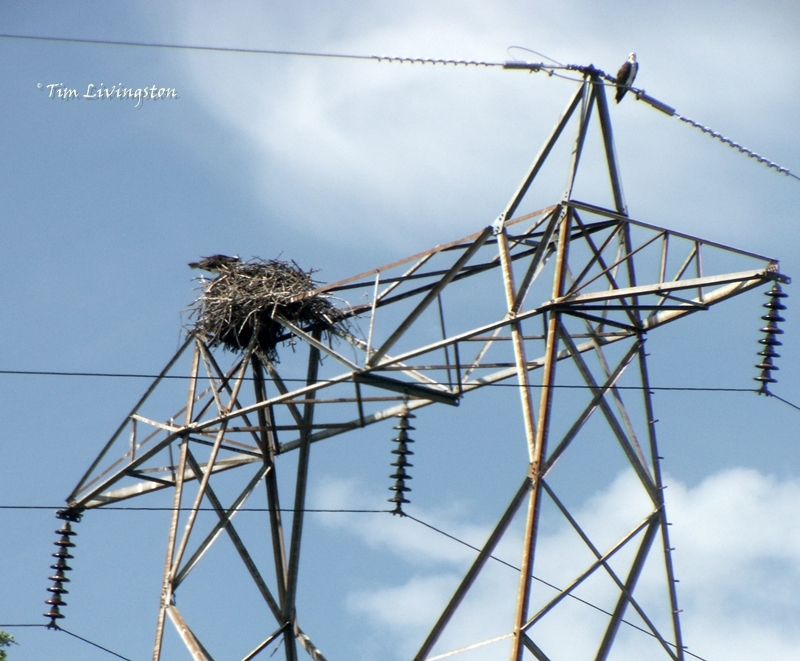 As typically happens when there is a disagreement, she got her way and the nest ended up in it’s current location. The is nothing more relaxing then a cozy nest.